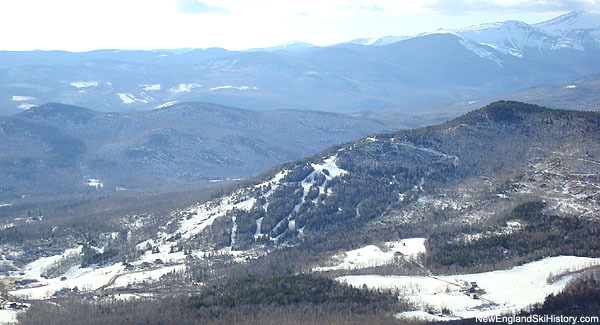 Located in Jackson, Black Mountain is the oldest lift served ski area in New Hampshire. Modern skiing on Black Mountain dates back to at least 1934, when the Civilian Conservation Corps cut the Black Mountain Ski Trail on the middle peak of the ridge. The trail and its cabin remain in use today, unconnected to the lift served alpine ski area. 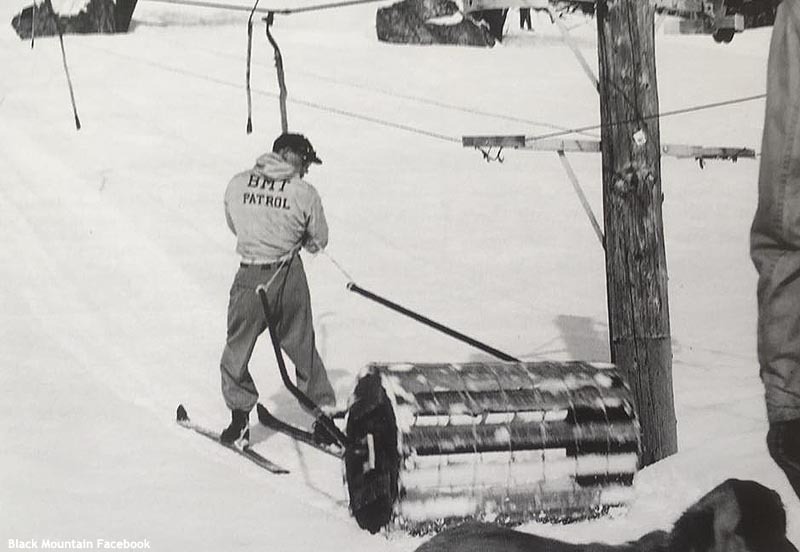 From a lift served skiing perspective, Black Mountain likely first opened in either December 1935 or early 1936 as a small rope tow area designed to bring more people to Moody's Inn. Later that year, mechanical engineer Bill Whitney and his wife Betty purchased the facility and renamed it to "Whitney's." Soon thereafter, the rope tow was modified with the installation of Sears Roebuck & Co. shovel handles for easier riding. By the end of the 1930s, Whitney's was a popular destination for both day and night skiing. Franz Koessler operated the Eastern Slope Ski School at the area. Even as World War II arrived, Whitney's continued to grow in popularity, registering a record weekend in late December 1941. Some even hit the slopes as a last furlough before shipping out to serve. Whitney himself soon departed to serve with the Red Cross, while Betty operated Whitney's in his absence, though the area likely did not operate during the 1943-44 season when she joined the Red Cross effort. While serving in the Army in 1944, Franz Koessler was killed in a training accident at Camp Croft in South Carolina. Following the war, Arthur Doucette was named Ski School Director, a position he would hold for the next quarter century. After World War II, Whitney's was in danger of being left behind by developments with much longer lifts than Whitney's relatively short surface lift. 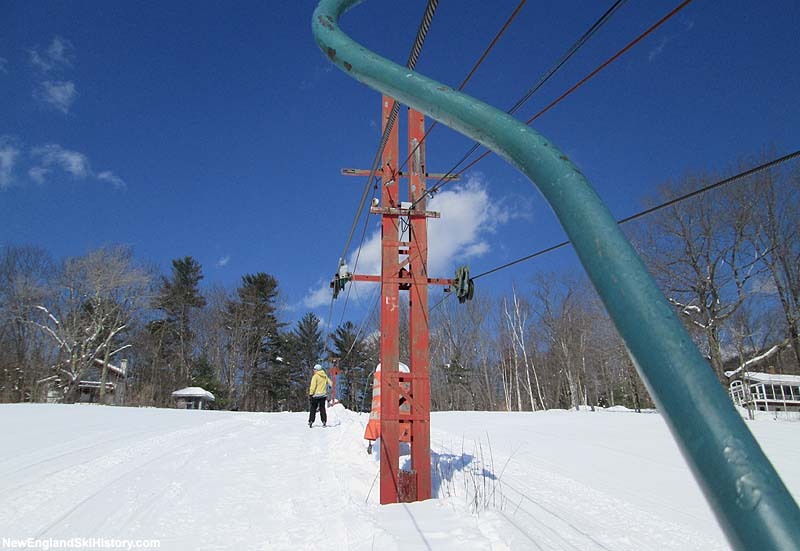 With the top to bottom Skimobile service in place at nearby Cranmore and a large development being planned down the road at Thorn Mountain, Bill Whitney began to plan a chairlift development in 1947. Brothers Halsey and Stanton Davis were brought in as partners on construction of the mile long lift. The project was either overhyped or scaled down, as the result was a new 3,500 foot long Constam T-Bar that could be converted to a scenic chairlift for off season use. The base terminal of the lift was reportedly located adjacent to an old schoolhouse. Nevertheless, the new lift vastly improved the offerings at the ski area for the 1948-49 season, climbing some 700 vertical feet up Black Mountain Knoll. New trails included the Whitney Trail, the Davis Trail, the Hardscrabble Trail, and the Maple Trail. To help rebrand the larger new area, Whitney's was renamed Black Mountain. Spruce Run was added for the 1949-50 season, while Runaway was cut soon thereafter. The Speedwell Trail debuted in early 1953, as well as a new grooming contraption described by the Boston Globe as "a tractor with an endless belt of slats turning on its tractor treads." The handle lift was upgraded to a J-Bar circa 1954. Meanwhile, Cranmore, Black Mountain, and Jackson Senator Winifred Wild unsuccessfully tried to stop the state funded Peabody base area development at Cannon Mountain, fearing the expansion would harm Eastern Slope Region business. Struggles did ensue, in large part due to winters with poor snowfall. While Thorn Mountain likely folded following the 1956-57 season, Black Mountain decided to push forward and invest in snowmaking and a new restaurant for the 1957-58 season. 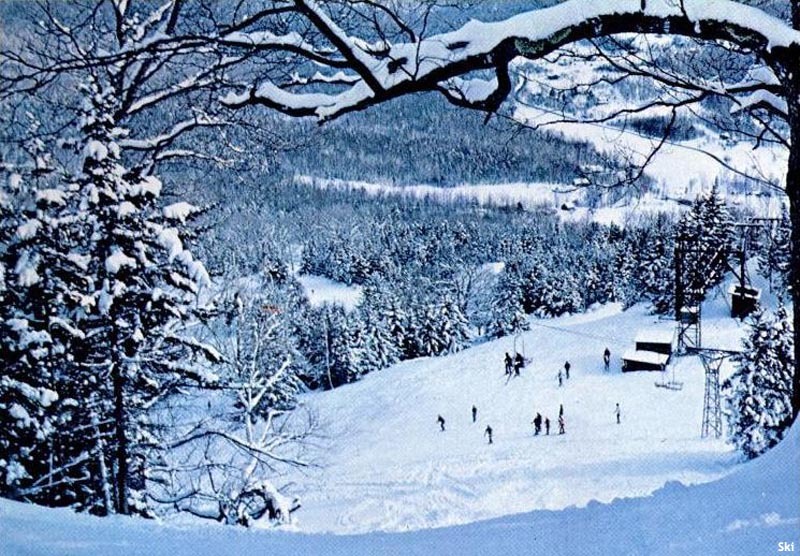 Multiple improvements were made for the 1959-60 season, including new night skiing lights on Whitneys' Hill, a skating rink, and a new base building near the T-Bar. A 1,150 foot long Mueller T-Bar was added for the 1960-61 season, serving novice terrain. Once again finding itself dealing with new competition, including Attitash and Tyrol, Black Mountain made plans to expand the ski area. 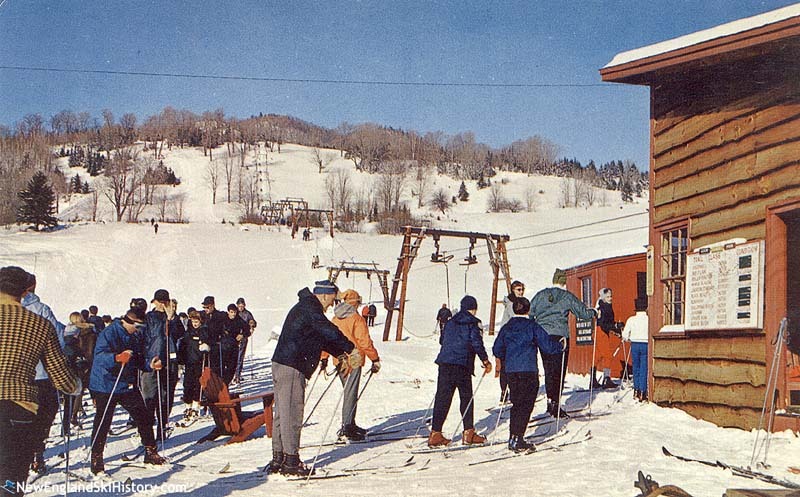 The Upper Mountain was opened for the 1965-66 season, served by Black's first chairlift. The new lift increased the lift served vertical by 400 feet to 1,100 feet. Following a successful 1968-69 season in which business was up 30%, Bill and Betty Whitney retired to a home above Whitney's Slope, handing over the reins to former ski patrol director Don Murray and his wife Kathy. While Black was able to stay open through the tough years in the 1970s, there was not much growth. Sadly, shortly after celebrating his 40th wedding anniversary with Betty, Bill Whitney suffered a fatal heart attack while hiking a ski trail in 1976. After a few tough seasons in the early 1980s (including a two-day 1979-80 season), a group of local businessmen took over Black Mountain and started a five year investment plan. For the 1982-83 season, the base lodge was expanded by 10,000 feet. Two years later, top to bottom snowmaking was installed, along with a new triple chairlift. Paul Lodi became General Manager circa the 1990-91 season, while Betty Whitney remained involved as a stockholder. Circa 1995, John Fichera took over financially troubled Black Mountain. In March of 1996, John and Andrew Fichera formed Alpine Resources Corporation as the owning organization of Black Mountain. Betty Whitney passed away in February 2005 at the age of 102. Despite waves of corporate sales at other ski areas in the region, Fichera has retained the independent feel at Black, keeping the ski area in operation whilst steadily improving snowmaking capabilities. 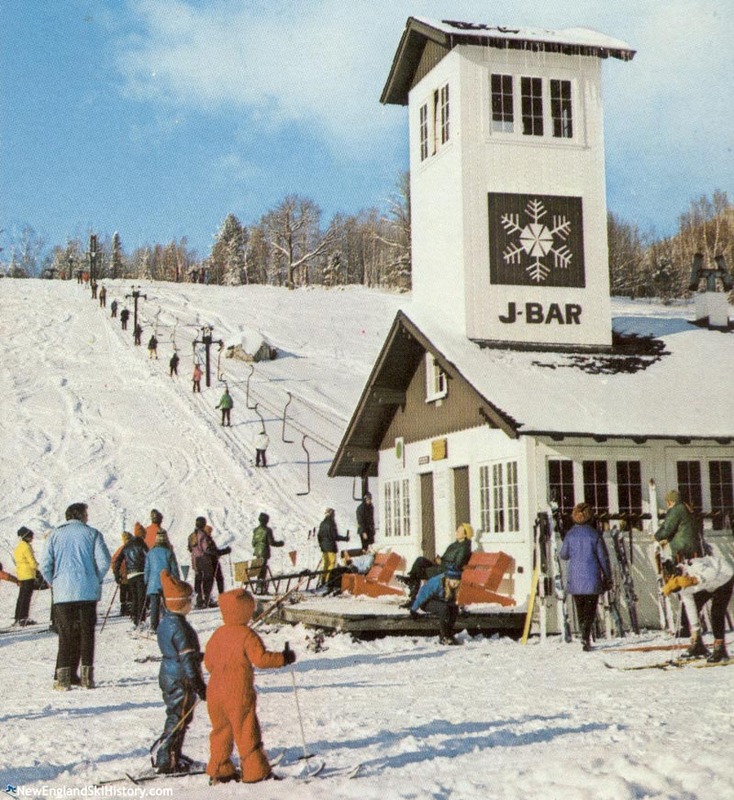 The original surface lift still exists today as a J-Bar, making it the oldest operating lift in New England. "nobody mentioned the Sugaring Off Race and events. ????? Lots of Fun. " "My father was in charge of the training, certification and record keeping for the ski patrol as well as maintaining all the equipment for the ski patrol. I grew up spending time around Black Mtn as a kid until the fire of the summit double brought in the Fichera era. I spent time in the off season helping around the base lodge as well being used during ski patrol refresher training and lift evacuation drills. I can't tell you how many times I was strapped to a back board and flipped upside down or stood on my head because the adults thought it was funny. We still have an old center post chair from the double and I remember when the new chairs were installed. The old thiokol groomer caught fire and burned up and our new LMC groomer suffered a catastrophic failure. It was dragged off the mountain never to be seen again as LMC had gone out of business and there was nobody to honor the warranty. "